On Tuesday 5 March, at the age of 58, Venezuelan president Hugo Chávez lost his almost two-year battle with cancer and passed away. Within seconds of the news being announced, the wheels of the global media bandwagon went into overdrive, with largely unsurprising results, in both the US and British media. At the most distasteful end of the spectrum was the headline in the New York Post, the paper with the 7th highest circulation in the US, that read 'Off Hugo! Venezuela bully Chávez is dead'. Other US media followed closely behind. 'Death of a Demagogue' ran a headline on the website of Time, the world's biggest selling weekly news magazine. These and other US media reaction were included in a piece by the US media watchdog Fair and Accuracy in Reporting (FAIR) that also examined the distorted, often hysterical, US media coverage of Chávez during his presidency. It's worth recalling that following the 2002 US-supported coup that briefly removed Chávez from the presidency the New York Times declared that Chávez's "resignation" meant that "Venezuelan democracy is no longer threatened by a would-be dictator." Following Chávez's death, the antipathy towards a president that had so vehemently challenged the actions and interests of the United States was also evident in the British media. Rightwing outlets displayed the usual cynical disdain that had characterised their reporting of Chávez's presidency, although Nicolas Maduro, Chávez's former vice-president, the current interim president and the government's candidate for the April 14th presidential election, was also now in the firing line. In the UK's biggest selling broadsheet, the rightwing Daily Telegraph, its chief foreign correspondent David Blair described Maduro's role as foreign minister under Chávez in the following terms: "Mr Maduro was the obedient enforcer of his master's highly personal foreign policy". For Blair, Maduro, rather than responsibly representing his government's foreign policy, was "a loyal purveyor of 'Chavismo' around the world". 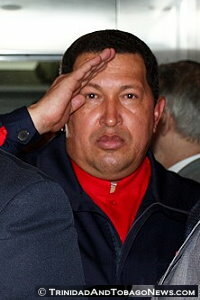 "Mr Chávez was no run-of-the-mill dictator. His offences were far from the excesses of a Colonel Gaddafi, say. What he was, more than anything, was an illusionist – a showman who used his prodigious powers of persuasion to present a corrupt autocracy fuelled by petrodollars as a socialist utopia in the making. The show now over, he leaves a hollowed-out country crippled by poverty, violence and crime. So much for the revolution." "The ousting of the Honduran President Manuel Zelaya by the country's military at the weekend has been condemned by many members of the international community as an affront to democracy. But despite a natural distaste for any military coup, it is possible that the army might have actually done Honduran democracy a service." The Independent's competitor in the UK's liberal-left newspaper market, The Guardian, showed a similarly hostile stance towards Chávez during his presidency. In a piece on the New Left Project website examining the critical UK media coverage of Chávez following his death, Josh Watts noted how the anti-Chávez bias of Rory Carroll, a Guardian journalist and its former Latin America correspondent, "has been extensively documented". As Samuel Grove noted in a damming 2011 article, Carroll's Latin America coverage "has attracted widespread criticism for its selectivity and double standards, brazen anti-left bias, and above all slavish loyalty to Western interests". There is now surely a book's worth of material exposing Carroll's distorted Venezuela coverage. Carroll has managed to take his agenda beyond the confines of The Guardian. For example, in an Al Jazeera English debate on the continued demonisation of Chávez by the Western media that took place three days after Chávez's death, Carroll repeatedly tried to present Venezuela under Chávez as an economic failure. He repeated this line of attack in a BBC 3 radio interview in late February, where he accused the Chávez government of being responsible for "decay, ruin, waste" in relation to the economy. Contrast this with the rigorous reports on the socio-economic changes under the Chávez presidency by the Washington-based think tank, the Center for Economic and Policy Research (CEPR), which completely undermine Carroll's narrative of economic failure. This fact-based approach to appraising elements of the Chávez legacy has not been lost on The Guardian's associate editor Seumas Milne, who referenced CEPR's latest report when he tweeted: "Media claims #Chávez ruined #Venezuela's economy absurd: here are the facts on growth, unemployment, poverty http://bit.ly/13Nnwno @ceprdc"
It was precisely these socio-economic gains, especially for those in the low-income neighbourhoods known as barrios that encircle Caracas and other Venezuelan cities and who formed Chávez's support base, that lay behind his popularity and his repeated electoral victories. Rather than try to explain Chávez's appeal to large sectors of the Venezuelan population or understand the process of radical change underway in the country, the West's media class preferred to focus almost entirely on the figure of Chávez. It was precisely this narrative that was so effective in discrediting the Venezuelan process through concealing the role of collective agency, silencing the people from below, and rendering them insignificant. While the mainstream media routinely ignores the voices of the government's grassroots supporters, they have been instrumental in driving the Venezuelan process forward and should be at the centre of the story. Thus, when we contrast Chávez's popularity at home with the open hostility with which Western political elites viewed him, we're left questioning the motivation behind the anti-Chávez mass media campaign that has systematically misrepresented events in Venezuela. "Never has a country, its people, its politics, its leader, its myths and truths been so misreported and lied about as Venezuela." Even though Chávez is dead, his vilification by the US and UK media is alive and kicking. Pablo Navarrete is a LAB correspondent and a PHD student at Bradford University in the UK, researching the political economy of the Chávez presidency. He is also the director of the documentary 'Inside the Revolution: A Journey into the Heart of Venezuela' (Alborada Films, 2009). You can watch the documentary online here.